What's The Biggest Automotive Repair You've Attempted? Sometimes cars can break in bad ways, forcing you to gird your loins and make major repairs. I’ve been there. In fact, I’m in the middle of such a repair right now. In the spirit of our new blog The Garage, how about you? Sometimes, you just bite off more than you can chew. Next thing you know, you’re elbows deep rebuilding a flux capacitor, showing up to work with grease on your clothes and hands, and spending more time with the clerk at O’Reilly than with your family. Take my Jeep J10, for example. I just got it running last night and decided to go on a little test drive. What did I discover? The transmission was screaming! So it looks like I’ll be doing a transmission rebuild. But this is the story of my life, because I own a bunch of old rust buckets. 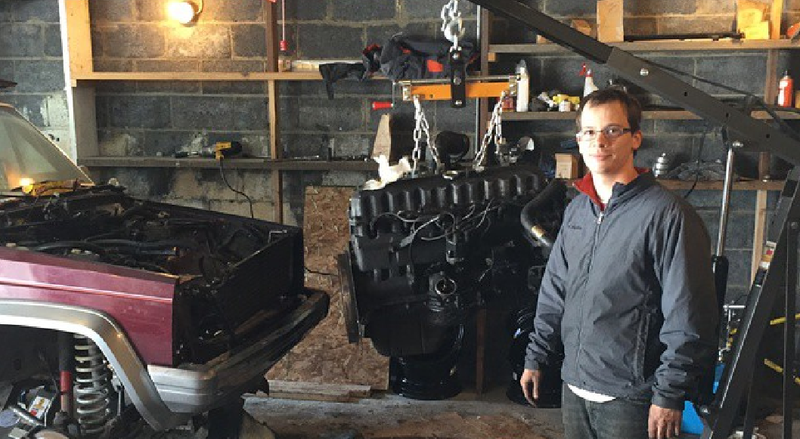 My biggest automotive job to date was no doubt when I had to rebuild my Jeep inline six. It wasn’t overly complex, but it took weeks. I had to consult the interwebs and my repair manuals, I had to buy new tools (like that engine hoist), and I had to make quite a few junkyard runs to replace all the parts I broke in the process. But that might be child’s play compared to what you’ve undertaken. So tell us: What was the biggest automotive repair job you decided to tackle?